Conservation is becoming more militarised, and it is cause for serious concern. Rising rates of elephant and rhino poaching in Africa, and fears of a link between poachers and terrorists, have led to foreign national armies, private military companies and even UN peacekeeping forces all moving into wildlife protection. Not everyone is happy to see them: the Game Rangers Association of Africa recently issued a statement raising concerns about the growth of military personnel from beyond Africa involved in ranger training and anti-poaching operations across the continent. The private contractors, current serving soldiers, and groups of army veterans currently working across Africa are all very different kinds of “conservation armies”. But the common thread is that they are contributing to the development of a more forceful and militarised phase of wildlife protection. Often, terrorism is used to justify a military presence in national parks and game reserves. But, though linking ivory with terrorism makes for attention grabbing headlines, there is no credible evidence to support such claims. British newspaper, The Daily Mirror, recently ran a story about British troops training rangers in Gabon, and claimed it was part of a strategy to fight international terrorism. Readers were told that ivory poaching in Gabon is linked to Boko Haram. The story was repeated by The Independent a few days later, citing the Mirror as the source. However, Boko Haram are not reliant on the ivory trade for their funds, and they are not operational in Gabon either. It can be difficult to criticise foreign troops for engaging in what appears to be two good causes. Who would seriously be against either saving elephants or fighting Boko Haram? And if the same operation can do both at once, even better. But this image of a benevolent “eco-military” distracts from asking other important questions like what drives poaching in the first place, what role poverty plays, why Gabon is poor despite significant oil reserves, and whether or not the new military presence has been welcomed by locals. The claims about Gabon, ivory and Boko Haram are reminiscent of headlines and slogans back in 2013-14 about ivory being the white gold of jihad, centring on claims that East African Islamist militant group Al Shabaab was funded by ivory. This has been thoroughly criticised and debunked. Al Shabaab’s main sources of income remain the regional charcoal trade, informal taxation at roadblocks and ports, and donations from overseas supporters. But the story had traction – it suited everyone from conservation NGOs who wanted more funds, to governments concerned about terrorism, and private security services who saw a chance to expand their operations. Several of the new conservation armies operating in Africa have other aims, which are much closer to home. The US-based Veterans Empowered to Protect African Wildlife (VETPAW) is a good example. The organisation aims to reduce unemployment rates among post-9/11 war veterans by using their skills to train rangers and take on the poachers directly. VETPAW initially provided anti-poaching services in Tanzania. However, in 2015 the government ordered them to leave after comments from one member, US army veteran Kinessa Johnson, about “killing bad guys” went viral and attracted negative publicity. The organisation is currently contracted to run anti-poaching operations in private reserves in South Africa, where it claims the activity helps veterans find peace and cope with Post Traumatic Stress Disorder (PTSD). But these examples only tell one side of the story. We need to think about what kind of conservation this drives on the ground, and how it looks to communities living near the increasingly militarised conservation sites. 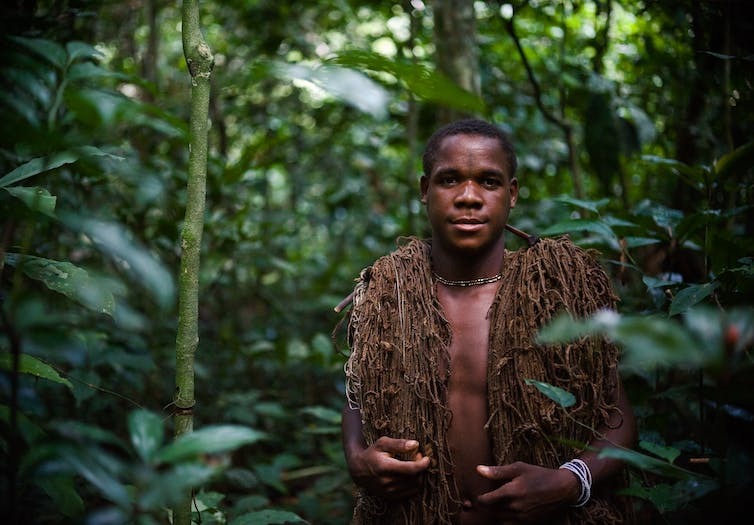 Survival International and Rainforest Foundation UK have led campaigns against the abuses of forest-dependent communities in Central Africa and the Congo Basin as a result of more militarised conservation. In one well-documented case, Baka people in Cameroon were allegedly abused by eco-guards who had been trained by a private company and funded by the WWF. Though such stories document the use of violence against some of the most marginalised peoples in the world, they don’t grab headlines as easily as a friendly “eco-army”. At best British troops will only ever provide a short-term fix to Gabon’s poaching problem, and the same goes for private militaries and security services across the continent. They are not capable of (or concerned with) addressing the complex and poorly understood reasons why poaching persists. These include poverty, a desire for status, and coercion of vulnerable communities by organised wildlife traffickers. Poaching is also a longer-term consequence of decisions by colonial regimes to create protected areas for sport hunting and safaris, while banning locals from subsistence hunting. And of course it is driven by increasing demand from wealthier countries for exotic wildlife products. In the longer-term, “conservation armies” can’t fix any of the above. At worst, they will be counter productive and alienate the very communities needed to make conservation work.